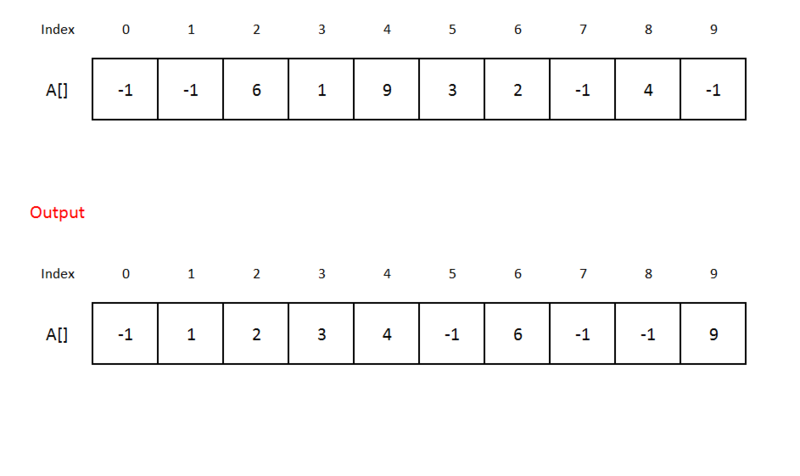 Algorithms – Rearrange the Array of Given Range N, such that A[i]=i. Check if element is -1, if yes then ignore it. If element is not -1, Check if its at it correct position (i=A[i]), If yes then ignore it. Either A[i] is vacate, means A[i]=-1, then just put A[i]=i . OR A[i] is not vacate, means A[i]=x, then int y=x put A[i]=i. Now we need to place y to its correct place, so repeat from step 3. .
255 queries in 0.131 seconds.